We help homes, buildings and other structures are brought back to level and given a strong, stable base, allowing for cosmetic repairs to the damage that seismic activity has caused. In many cases our methods to fix foundation ground also correct other problems, such as bringing cracks in walls back together and re-aligning doors, windows and skirting boards. Mainmark has successfully resolved thousands of earthquake remediation projects internationally. We have gained a great deal of experience, most notably in New Zealand, Japan, and other earthquake-prone countries. Our Ground Improvement and Liquefaction Mitigation solution has been formally recognised as a geotechnical innovation, after nearly four years in development, and with extensive trials and testing in Christchurch Red Zone. 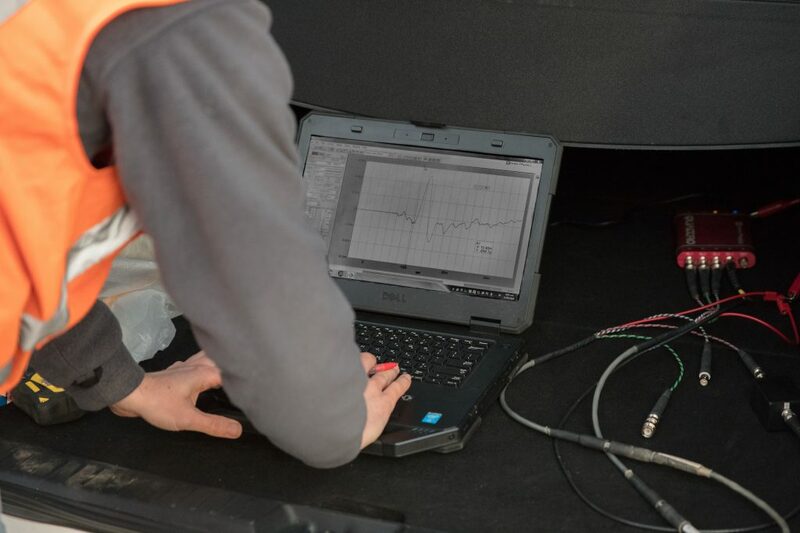 The internationally peer reviewed report for our Resin Injection Ground Improvement Research Trials has been released and the full report is now available for review on the New Zealand Geotechnical Society website. Mainmark use a number of innovative ground engineering solutions, including our proprietary Teretek engineered resin solution. 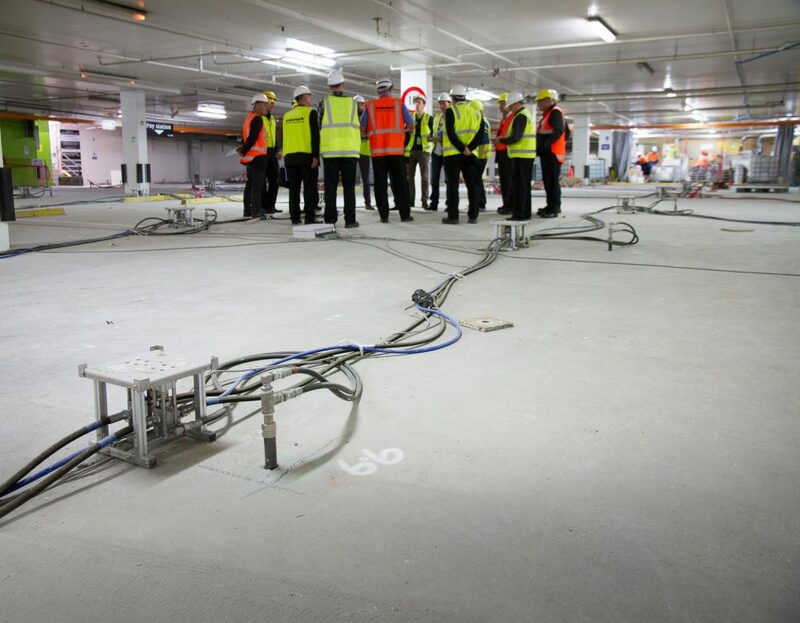 As part of post-earthquake remediation works in both Japan and Christchurch, we have developed expertise in technologies such as JOG Computer-Controlled Grouting and Jet Grouting. re-level the structure by JOG, integrated computer grouting. What sort of damage can an earthquake cause to a building or structure? Earthquakes and seismic activity cause structures to suffer substantial damage. They sink, or partially sink, down into the ground, cracks appear in walls, doors and windows jam and cease to work properly, and the ground itself can be weakened. The level of earthquake damage depends on many factors; the proximity of the earthquake source, the magnitude of the quake, how long it lasts, the type and quality of the engineering of the structure, as well as the type and condition of the ground the structure sits on and the degree of liquefaction that has occurred. Generally, the bigger, closer and shallower the earthquake, the stronger the shaking will be, and the more damage is likely to occur. Sinking (subsidence) can be at varying levels at various points, or the collapse can be spread across the entire footprint of a structure’s foundation, depending on where the affected ground is and how large an area it is. This can be very serious, with the structural integrity of the building comprised, it will generally become unsafe. If left untended, damage is likely to worsen, creating further building subsidence and other consequent damage. Ground is often weakened, with liquefaction resulting in uneven ground density. Liquefaction occurs when ground shaking loosens water-logged sediments, effectively squeezing liquid up from the ground, ultimately altering ground conditions. 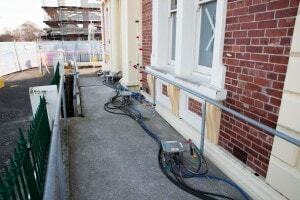 When ground has been affected, building subsidence is common. Foundations or footings are no longer ably supported, sinking due to the weak ground. Strengthening weak areas means unstable ground can again be suitable for the weight of a structure, without worry of continued subsidence. What are the solutions to make a building or structure useable and safe again? The degree of earthquake damage is unique to each project. Traditional level correction methods, known as underpinning, involve excavating or digging up parts of the foundation, pouring in concrete, waiting for it to set, and then jacking up the building off the concrete blocks. These methods often cause further substantial damage and do not strengthen weak ground. These methods can be time consuming (often requiring weeks or months) and messy. Our methods are much friendlier, both to the building and to those that occupy it. Mainmark specialises in level correction that not only brings a building back to level but also strengthens any weak ground under and around the perimeter of the foundations, ensuring a stable base and avoiding recurring sinking issues. Our non-invasive techniques are cost and time efficient. We re-level the building and can compact and strengthen foundation ground, delivering a stable base for the future of the structure. We have cutting edge solutions for structures of all kinds and any size, from small homes to large commercial buildings, and above ground structures to underground systems. Our worldwide proven systems provide solutions to any sector; residential, commercial, industrial, infrastructure, mining, and resources. Various product warranties and Building Code requirements apply (please contact us to see which apply in your region or country). In the Infrastructure sector, earthquake damage can fast cause havoc. Earthquake effects like sinking structures and floors, and weak ground create numerous problems, and are likely to become hazardous if not resolved promptly and correctly. Mainmark’s methods have delivered results to thousands of projects worldwide. We have successfully raised, re-levelled and re-supported sunken roads and highways, bridge approach slabs, bridge abutments, culvert areas, concrete slabs, airports, seaports, railways, parking areas, and many other civil works. Our earthquake remediation solutions are sought for many reasons, not least of which are the cost effective and time efficient processes we use. Bringing the building and its floors back to level means everything is back on an even keel, optimising business output. Most importantly, structural damage is resolved, and the future of the building is sound. In fact, some of our methods actually improve the strength of the ground and the building’s bearing capacity. Mainmark methods are suitable for any building, of any size. We also re-level parking areas, loading docks, hardstand areas and driveways. The methods we use strengthen weak ground, so the site becomes level and more stable.